If you’re looking for a venue for a classy night out, or just a place for casual drink with mates, E14 has more to offer than some might think - from local pubs to elegant cocktail bars with some of the best views in London. Check out the five bars below that we at Proper Local recommend. 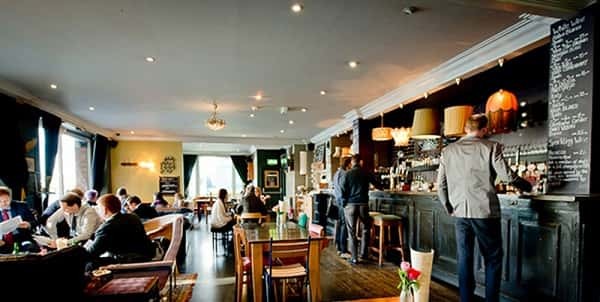 If you’re looking for a more casual venue Pepper Saint Ontiod is the place for you; whether it be a quiet daytime pint, Friday/Saturday night out with the boys or girls, or Sunday lunch. The un-Canary-Wharf-like décor is a jumble of old wallpaper, chintzy furniture and random odds and ends dotted around the place. Developed by Berkeley and designed by Foster + Partners, South Quay Plaza is set to be one of the tallest residential buildings in Europe. Two towers, one of one 68 storeys and another of 36 will bring a new focal point to the London skyline. South Quay Plaza is set for completion in 2021-2022. The development will have 10000 sq ft of commercial space and 888 residential apartments. Located directly opposite South Quay Plaza is South Quay DLR (Docklands Light Railway) station, whilst SQP is also only a short walk into to Canary Wharf and therefore the Jubilee line. If you’re looking for a beautiful setting, amazing service and delicious roast chicken there’s no better place than Le Secret des Rôtisseurs. Chicken is their speciality, but the menu isn't restricted to just chicken dishes though. Starters include deep-fried camembert and a platter of smoked fish, though a terrine of poultry livers served with gherkins and sourdough brings the bird back into play. The French waiters are courteous and attentive. Located in London, Canary Wharf, overlooking the River Thames…. the view, the Chicken and an amazing location! It even has a terrace too, perfect for al fresco dining…. when the weather allows. New Providence Wharf is a residential development in London's Docklands which sits on the banks of the Thames, across the river and opposite to the O2 Arena in Greenwich. Designed by Skidmore, Owings and Merrill and developed by Ballymore, NPW was completed in 2004. 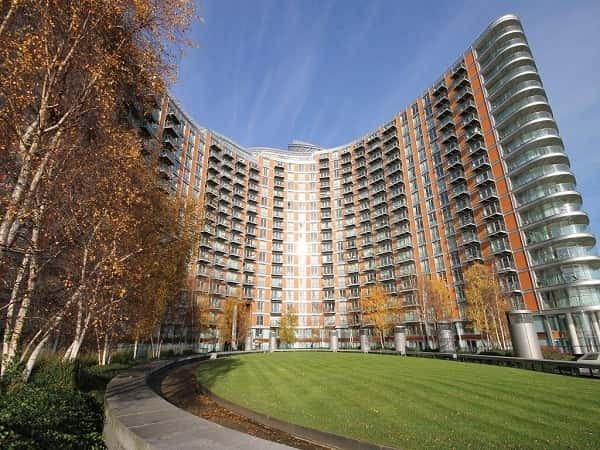 New Providence Wharf itself is a crescent-shaped block which runs along the southerly side of Fairmont Avenue. However, Ballymore have in essence created a large high-end residential community as Providence Tower (now Charrington Tower), Columbia West Apartments and Ontario Tower all fall inside the security cordon. The Radisson Blu Edwardian Hotel is next door to New Providence Wharf… if you ever run out of space when the family comes to visit. The Dockside development at Turnberry Quay is due to complete in 2017 and is situated just three minutes’ walk from Crossharbour DLR station. 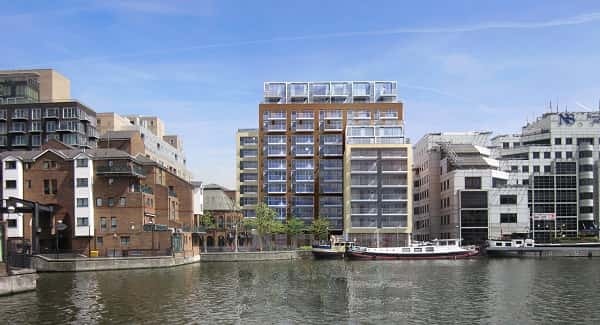 Developed by Bellway Homes, Dockside is ideal for professionals working in nearby Canary Wharf, as well as for accessing the many entertainment and leisure opportunities available locally. Comprising a mix of 1, 2 and 3-bedroom apartments over 13 floors, all 160 apartments are built to a high specification with quality fixtures and fittings, and enjoy a concierge service. Most apartments boast waterside views across the dock to Glengall Bridge and the city and Canary Wharf skylines.